The geometry is almost ready for machining. At the beginning, remove the outer rectangle. It’s a bit too big for the stock. We will prepare a smaller one later. Choose Edit | Delete and remove the outer rectangle. 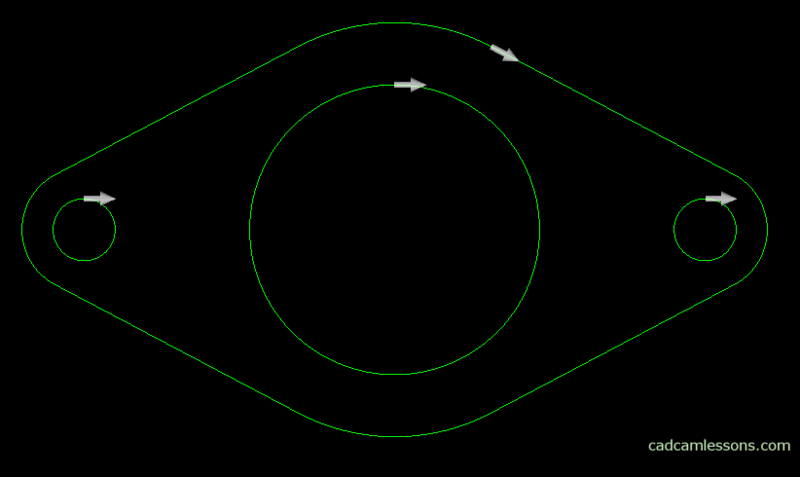 Now set the geometry direction arrows properly. All geometries are closed, so we’ll only use sections for closed geometry. Choose Machine | Tool Directions. 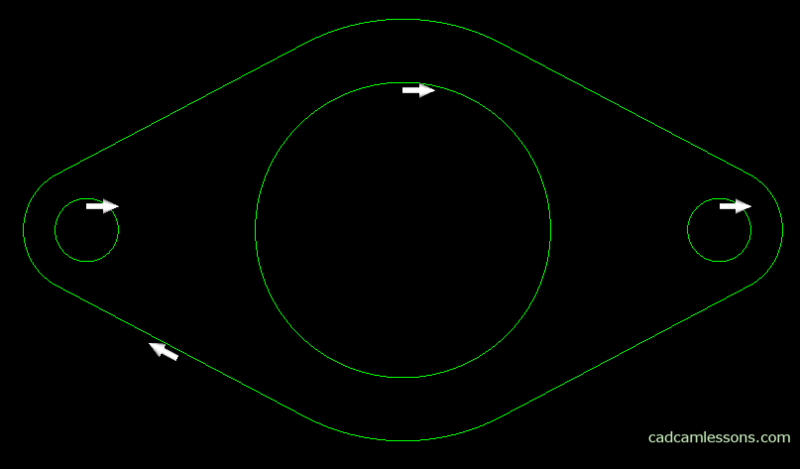 For external contours as Direction select CW, and as Side – Outside. 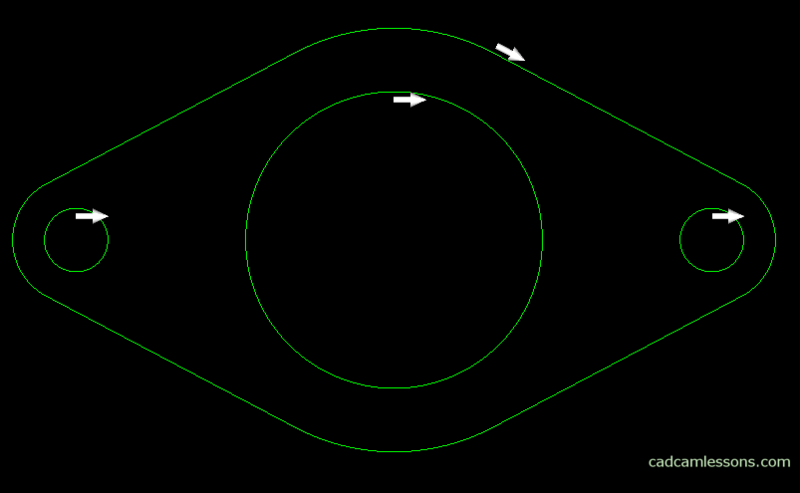 For circles Direction also CW, and Side – Inside. Let’s change the starting point for the external contour. Choose Edit | Start Pt, then select the MID-point of snap and select the left lower line. We are slowly approaching the programming of machining, but we still have to prepare the geometry of the stock.